Beauty is a Wound opens with a woman twenty years dead clawing her way out of the grave. From there the novel manages to become even more memorable. Written by Indonesia's greatest living writer, this sweeping epic of love, lust, and war is peopled by an unforgettably colorful cast of characters. Kurniawan, who has two novels in translation being published this fall (by different publishers), is worthy of assuming the place left by Gabriel Garcia Marquez. He's that good. 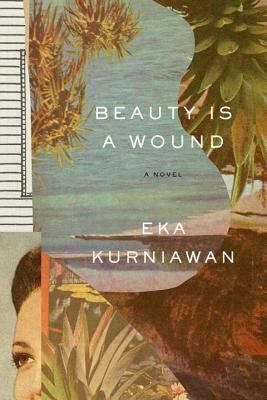 Beauty Is a Wound astonishes from its opening line: One afternoon on a weekend in May, Dewi Ayu rose from her grave after being dead for twenty-one years.... Drawing on local sources--folk tales and the all-night shadow puppet plays, with their bawdy wit and epic scope--and inspired by Melville and Gogol, Kurniawan's distinctive voice brings something luscious yet astringent to contemporary literature.